The regional Forum for the Future of Agriculture (FFA) took place in Sofia on Wednesday, November 29, 2017. In this article we explain some details on the structure of agriculture in the country. Based on official Eurostat Census data from November 2012, in 2010 there were 3.6 million hectares of utilized agriculture area in Bulgaria representing 33% of the entire territory of the country . Based on official data published in the National Agrarian report in 2015/2016, the total number of registered farmers was 98,303 . In 2016, the agriculture labor force represented 6.8% of the active population . Based on data from 2015, the main crops in Bulgaria were represented by Sunflower 850,000 hectares and Cereals, mainly wheat 1.15 m hectares . The total value of agricultural commodities in 2015 amounted 6.2 bn BGN and 64.5% of it was represented by plant production . According to data provided by the Ministry of Agriculture and Food in 2014, 8,600 agro companies with an area of more than 50 hectares cultivate 85% of the utilized agricultural area . 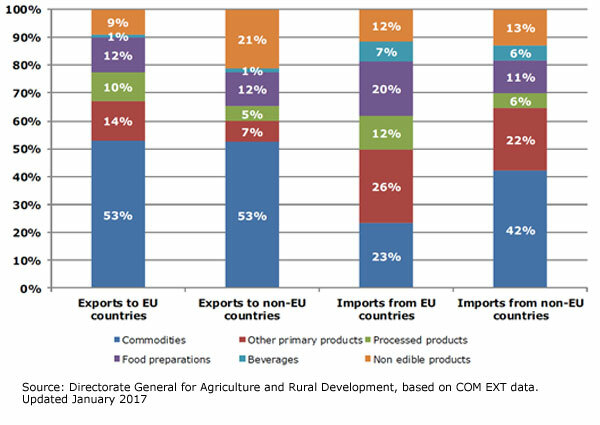 In Bulgaria, based on 2016 agriculture trade published data, total agricultural products as percent of total country exports was 17.4% (4 bn euros), most of this value representing trade with EU countries (69%). Export of crop production and crop derivative products represented 46% from the total export value. 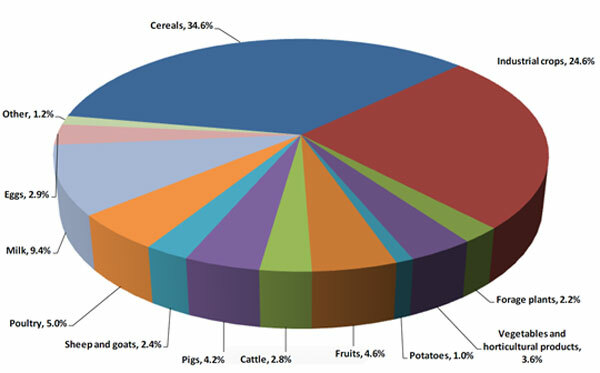 Leading export products in value are represented by wheat (16%) and sunflower (15%) (seeds and oils) . To learn more on the CAP in Bulgaria click here. For more information on the agenda or to register for the Regional FFA in Bulgaria click here. Bulgarian Ministry of agriculture and Food – Agrarian report 2016. Bulgarian Ministry of agriculture and Food.